"Ashes" is a song recorded by Canadian singer Céline Dion for the soundtrack of the 2018 American superhero film Deadpool 2, which is based on the Marvel Comics character Deadpool and distributed by 20th Century Fox. It was written by Petey Martin, Jordan Smith, and Tedd T, and produced by Steve Mac with a remix version produced by Steve Aoki. Director David Leitch wanted to create an original song for Deadpool 2 that could support the emotional core of the film, with "Ashes" being the song that was ultimately written. He and star/producer Ryan Reynolds decided on asking Dion to record the song, and she agreed to do it. The song is meant to balance a satire of similar songs in other films with its role as the actual emotional through-line of this one. 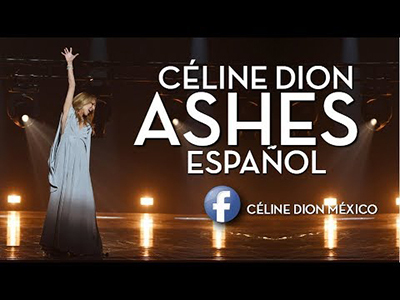 You can listen and download Ashes - Céline Dion ringtone at now!